Seventeen-year-old Anouk has finally caught the break she’s been looking for―she’s been selected out of hundreds of other candidates to fly to France and help with the excavation of a vast, underground palace buried a hundred feet below the suburbs of Paris. Built in the 1780’s to hide an aristocratic family and a mad duke during the French Revolution, the palace has lain hidden and forgotten ever since. Anouk, along with several other gifted teenagers, will be the first to set foot in it in over two centuries. But nothing is as it seems, and the teens―bitter, iron-hearted Anouk, gentle Will, bubbly Lilly, and crazy Jules―soon find themselves trapped in a game far more sinister, and dangerous, than they could possibly have imagined. An evil spanning centuries is waiting for them in the depths. . . I just–the Butterfly Man better not visit my dreams. 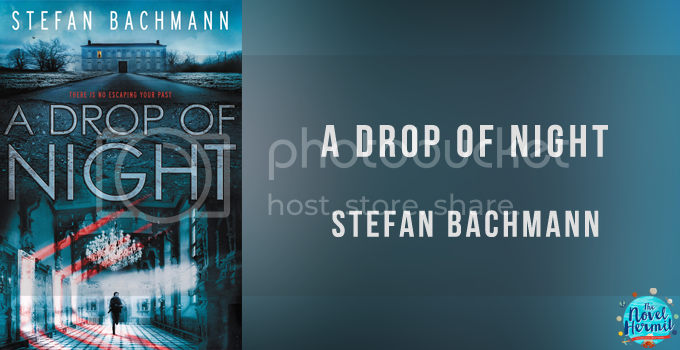 What mysterious things will you find in A Drop of Night? You have the Palais du Papillon, aka Palace of the Butterfly, that’s actually hundred feet below Paris and has a history that started during the French Revolution; five teenagers who are all excited for this big adventure and are trying to escape their family; danger lurking in the underground palace; and so much more that’ll keep you on the edge of your seat! You might end up cowering under your covers. A Drop of Night is creeeepy. I won’t talk too much about what happens, but it was just straight-up creepy. L’homme Papillon, also known as the Butterfly Man? NOPE. I read right before going to bed, and admittedly, that might’ve been a bad decision because I wanted to cover my head with my blankets. Despite my scaredy-cat-ness, I can appreciate how startling and tense everything is. It moves between two time periods—one in the present day and the other in the 1780s during the French Revolution. In the present day, we follow five lucky teenagers who embark on this underground palace excavation, and they will soon find themselves in danger because everything is not as it seems. You always have to be on your toes here. In the 1780s during the French Revolution, we follow Aurelie Bessancourt and her aristocratic family trying to escape the mob that’s come to murder them. They escape to the underground palace, and there, well, Aurelie and her sisters are caged like animals. For what purpose? There’s a reason, and boy oh boy, it’s interesting. I like seeing these two points of views, and how their experiences with the underground palace is both different and slightly similar to each other. Palais du Papillon has a fascinating history that you’ll want to know. Give me all the things about Palais du Papillon, and I’ll be a happy camper. The mystery of the underground palace is what kept me enthralled throughout A Drop of Night. I was riveted by it, the lore and history, and the Butterfly Man who haunts the place. I wanted to know more! I couldn’t stop reading after one thing was revealed because it opened up more doors and questions. Why does the underground palace exist? Why was it kept a secret? Why is it dangerous? Who and what is the Butterfly Man? What are all these creatures chasing after the teenagers? I had so many questions. Though, I wished the myth of the Butterfly Man was played up a bit—like the characters knew about this mysterious creature that could’ve been on the level of the Boogey Man or something. The characters aren’t very strong, so that you don’t learn too much about the characters to be truly invested. While the lore of Palais du Papillon and the dangerous things that happened, the characters were the weakest part of A Drop of Night. There’s Anouk van Roijer-Peerenboom, a cynical girl who is very close-guarded, has no interest in getting to know anybody, and is exceptionally skilled in languages; Jules Makra, an artist who dresses eccentrically and is always buzzing to talk or get to know people; Will Park, an Engineering student who is stoic and keeps to himself; Hayden Maiburgh, a private school kid who studies philosophy and full of himself; and Lilly Watts, who is audio and visual sensitive, super bubbly and talkative. Did I care about these characters? No. They were a bit hard to like, especially Anouk, because these characters never grew up by the end. I still didn’t know them, so I had a hard time relating to them when. I didn’t care if they made it out okay because I was more invested in figuring out what the hell is going on. It’s action-packed, so it’ll keep you enthralled until the end. Stakes are high! Something is happening in the underground palace, and when you find out what is going on with the characters, you’re in for a ride. You’ll end up wanting more and more information about it because it’s just so intense and exciting. Do I recommend A Drop of Night? Yes, especially if you’re in need of a fast-paced creepy action thriller where the stakes are really high with a historical lore that’ll have you cowering under your covers. If you get scared easily by the smallest creepiest thing like me, proceed with caution, but don’t cover your eyes. You’ll find yourself interested in what Palais du Papillon will bring you.